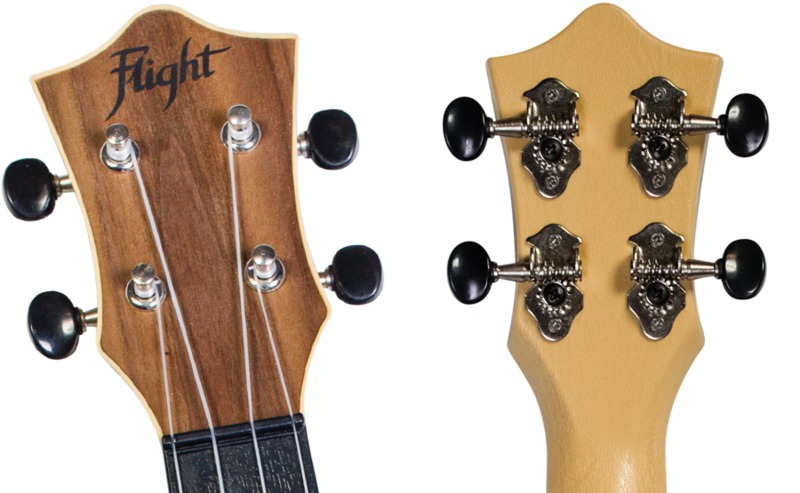 i went for the walnut topped tus50 and a natural tus35 which i will decorate later (in a way i don’t know yet); the tus35 is originally available in many other colors (at the time of writing: black, white, red, orange, yellow, light blue and dark blue). 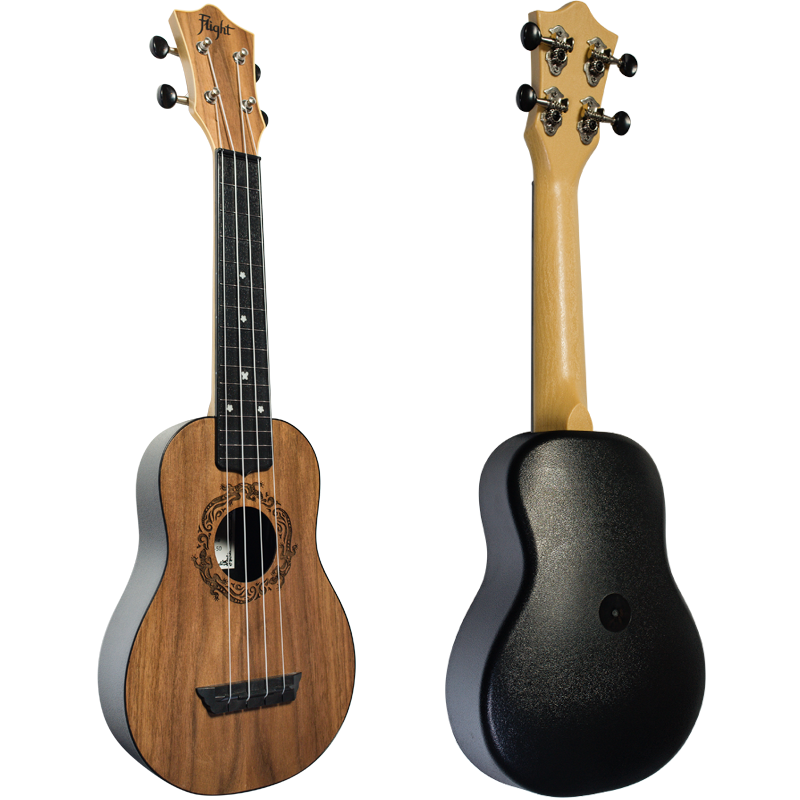 with the arched black abs body it immediately reminds me of the flea – but there are differences not only in the price (the average flea is roughly 5-6 times the price of a flight ukulele). 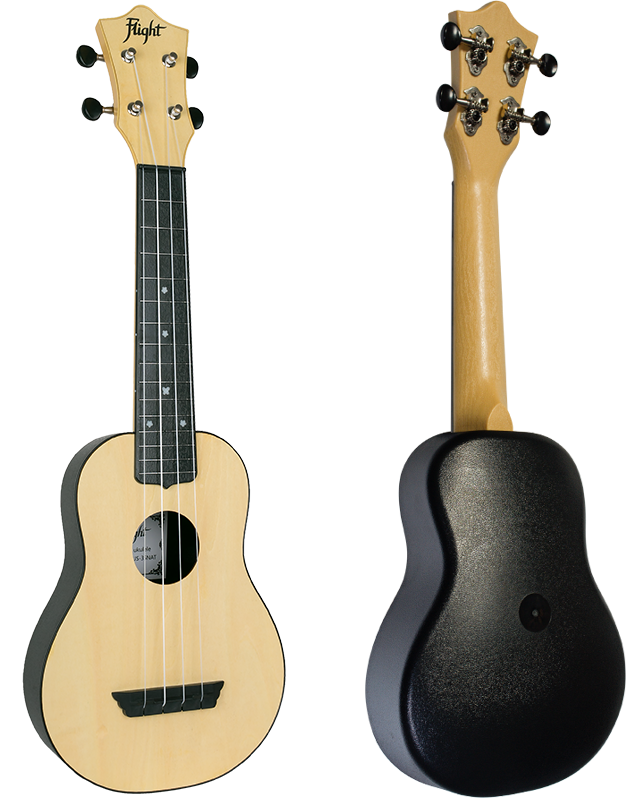 it definitely feels rock-solid, like a real beater “go anywhere” travel ukulele. Just the gigbag is not padded at all, it is a mere transport cover. But hey, at that price point I consider any bag a nice add-on. 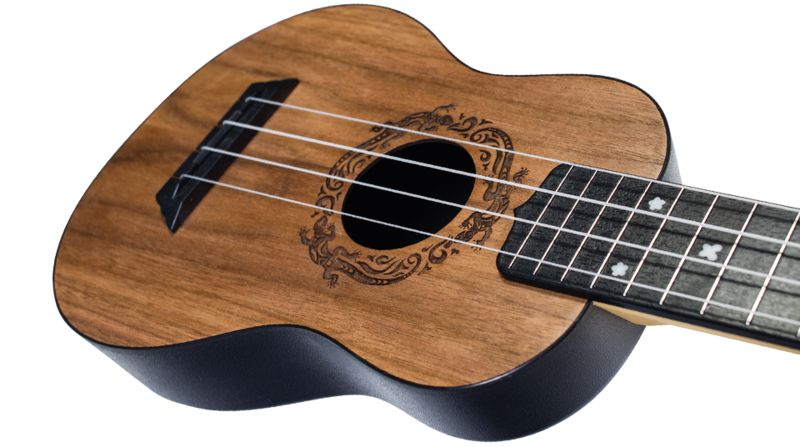 this ukulele will definitely make it to my list of recommended instruments for beginners. if you want to read more in depth and i can recommend barry maz’s detailed review on gotaukulele.com – there’s not much more to say. he scored the tus50 at 8.6 out of 10 and i would definitely sign that. ps: i haven’t found the time yet to take some own pictures, for the time being all pictures are shamelessly borrowed from the flight website www.flightmusic.com.